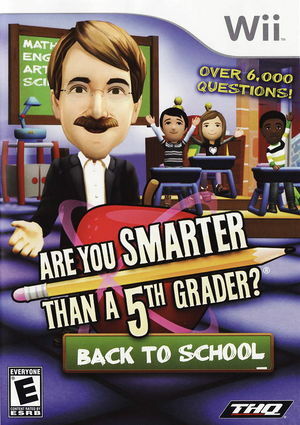 Based on the popular Fox television show, Are You Smarter Than a 5th Grader? : Back to School captures the essence of the show's new, fast-paced format. Up to three players can compete to test their first through fifth grade level knowledge with topics ranging from art to science and history. The game introduces new and unique platform specific features, gameplay enhancements and two brand new game modes. The graph below charts the compatibility with Are You Smarter Than a 5th Grader? : Back to School since Dolphin's 2.0 release, listing revisions only where a compatibility change occurred. This page was last edited on 31 July 2018, at 18:18.